The ocean is a common pool resource, which means it is owned by all yet its destruction belongs to no one. But we are not free from blame or from consequence. No, the destruction of our ocean means the destruction of our own humanity. The global ocean crisis is concerning, but it also presents an opportunity for businesses to rethink their practices. While our man-made weapons of ocean destruction are varied, there is one weapon that we as consumers and business leaders wield power over every day. That weapon is plastic. I firmly believe that companies have a responsibility to take ownership over the full lifecycle of their plastic products so they never see their name wash up on the beach against the feet of children in countries worlds over. If more business leaders commit to holding themselves accountable and challenge one another, together we will build a more resilient and more profitable global ocean. Plastics are the workhorse material of the modern economy, but they are also likely to be used just once and then discarded. 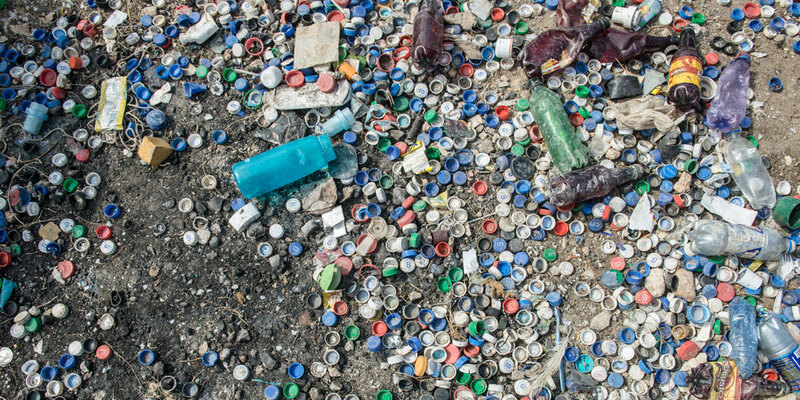 In places that lack recycling infrastructure, the plastic eventually makes its way to our ocean. As floating trash, plastic photodegrades into toxic micro plastic, noxious particles that will outlast marine life for centuries and eventually contaminate further up the food chain. As Adrian Grenier notes, the scale of the problem is almost inconceivable. Each year, at least eight million tons of plastics find their way into the ocean. Our team at Dell has become incredibly passionate about the issue. As we’ve spent time researching and experimenting over the last two years, we think we have a scalable solution to put this material to use. This spring we switched to recycled ocean plastics in our packaging, a first for our industry. And we believe, that with sufficient intervention and collaboration across sectors, we can stem the plastic tide. This week, Dell and Grenier are participating in the United Nations’ Ocean Conference. We are making a public commitment to UN Sustainable Development Goal 14. The commitment is to scale our use of ocean plastic and to open source our supply chain model to encourage broad usage. Speaking candidly, we don’t care if no one remembers who shipped the first ocean plastics packaging – only that there was a 100th, 1,000th or 10,000th company to do so. We will only make a real difference if other companies join the cause to reduce ocean plastics. No company, country, non-governmental organization or individual can fix this issue alone. We will have to work together to find the resources and invest in the solutions that can bring the ocean plastics back into the economy. As such, we’re openly looking for committed partners to join us to help define a socially and environmentally sound supply chain that reduces ocean bound plastic pollution at scale while meeting the requirements of the business community. We are all stakeholders in the health of our ocean. If more business leaders commit to holding themselves accountable, and challenge one another, together we can reverse the plastic tide and save our oceans. We hope you will join us. Adrian Grenier is an actor, producer, director, musician and sustainability activist. In 2015, he became Dell’s first Social Good Advocate to advance the company’s 2020 Legacy of Good goals. Kevin Brown is the Chief Supply Chain Officer at Dell. Together they are trying to improve ocean health and find innovative new sustainable solutions to our everyday supply chain needs.